Students can either do a KWL chart as an entire class, in small groups, or on their own. After a sheet of paper (or chart paper) is divided into three columns, students write everything they know about these two subjects in the first column. In the second column (Wonder), students write or tell you any questions they have about the topics or questions they think will be answered in the novel. The third column (Learn) is not filled out until after students finish the novel; or if questions are answered throughout reading, you can start listing facts in the third column. This is relatively short book with nine chapters. After students finish a chapter, they can write a summary of the main points. Patricia Maclachlan’s book is perfect for working on summaries since there are just a few chapters and each have major events in them. Students pretend to be Sarah and write a journal entry about her experiences with Pa, Caleb, and Anna. They can imagine how things are different for her in her new home and write about some of the tasks she does throughout the day, using events from the book as an example. On a slip of paper, ask students to write their name and whether or not they think Sarah is going to leave Caleb and Anna and go back to the home that she misses so much. They should write, “Yes, she is going to stay.” or “No, she is going to leave.” Collect these slips of paper before you read this section of Sarah,Plain and Tall that addresses this issue. Count the “votes” and record them on the board, and then ask students to discuss their predictions. 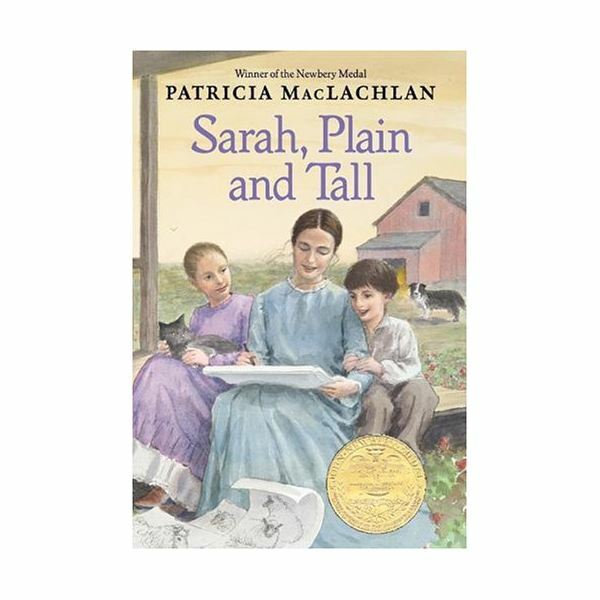 When you are almost finished with the Sarah, Plain and Tall unit for grade 3 and your students have read the book, they fill out the Learn column from the Know, Wonder, Learn activity they did at the beginning of the unit. Which did you like better–the book or the movie? Explain why and give three details. Students share their journal entries in class or in small groups.